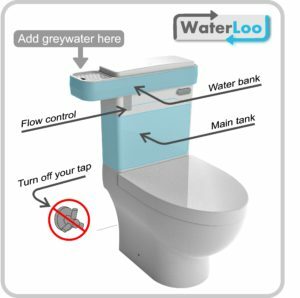 WaterLoo is a patented, easy-to-install and easy-to-use, lightweight and functional smart grey flush product that increases your toilet’s capacity for grey water use. It is a non-permanent installation that blends seamlessly with the toilet’s design, while integrating with the flushing system. Aesthetically pleasing, WaterLoo makes it easy to pour and re-use salvaged household grey water, thus saving precious drinking water. 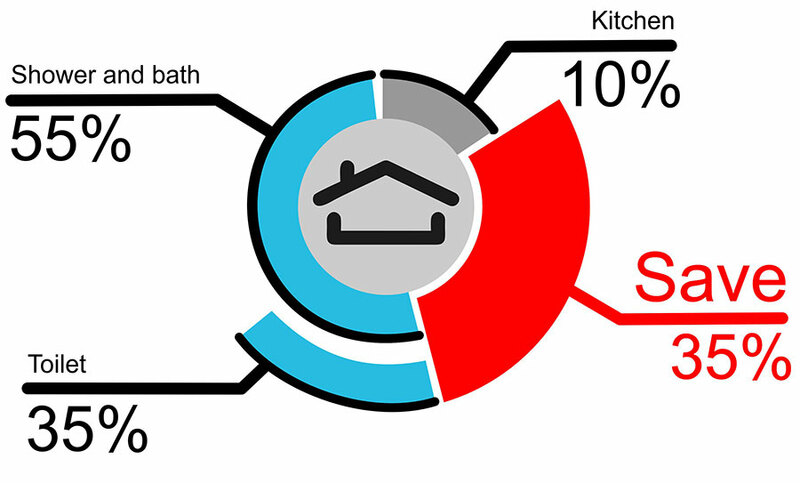 At the same time it gives you more space to store grey water for flushing. 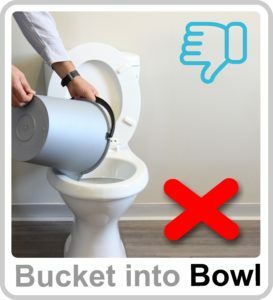 This means more flushes before having to fill up again and storing the buckets used for grey water pouring out of sight for longer. Prevents grey water sludge from clogging the cistern mechanisms. Less Filling ~ More Grey Flushing! 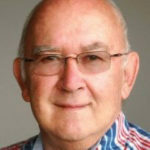 Off municipal water grid solution – save money! WaterLoo can fit to different types of loo systems. 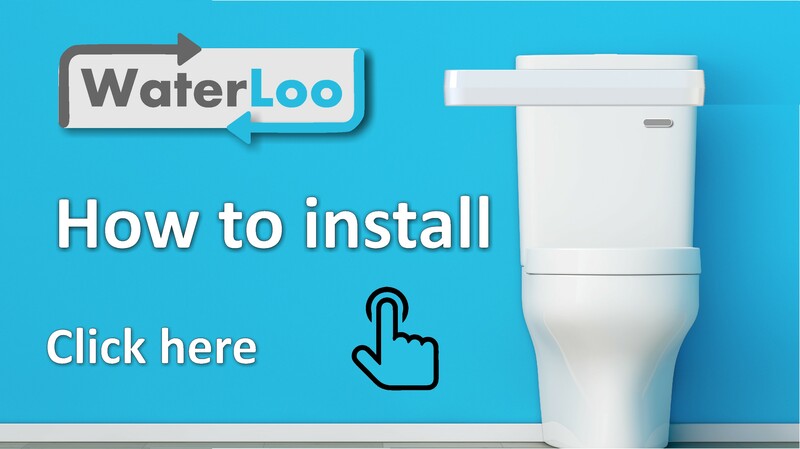 Establish which loo system you have and click on the image below to view the relevant “how to install” video for step-by-step instructions of your system. During normal household water consumption we flush more than 30% of good, clean drinking water down the toilet – literally! 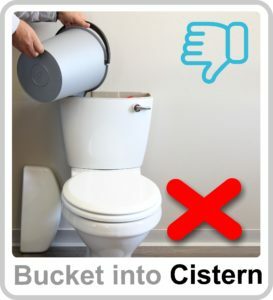 Store your greywater on top of your toilet cistern and reuse it to flush the toilet. 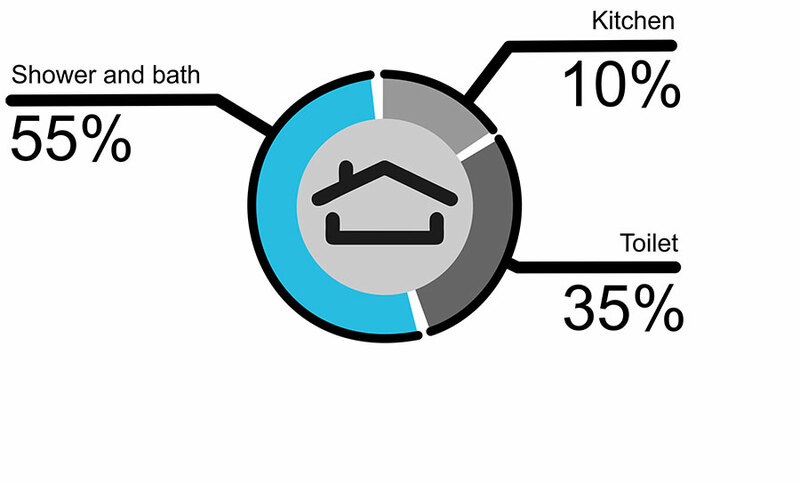 In doing so, you can save 35% of your household water. Online orders are ready same day once proof of payment has been received. 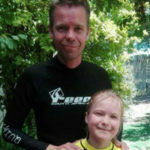 Pricing is only valid for South Africa. 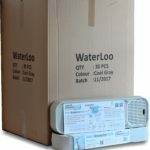 You can now order your bulk pack of 30 WaterLoo units! Contact us for pricing. Stockists welcome! 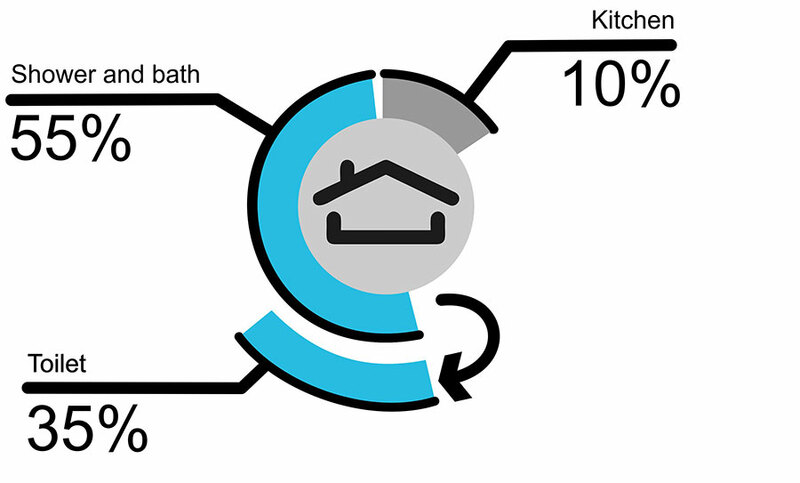 If you are not 100% satisfied with your Waterloo upon delivery for any reason, you can return your WaterLoo…. ...within 7 days for a full refund of the purchase price. WaterLoo has been designed and manufactured to the highest quality standards. We do, however, offer to replace faulty parts free of charge for a period of one year from date of purchase (the invoice date) should it be required. Important: Remember to clean the inside of your WaterLoo storage bank and the control valve regularly as the soap in greywater has a tendency to create the building-up of sludge over time. 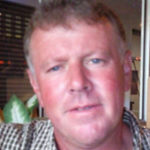 Prof. Christo Viljoen Pr. Ing.